A brutal winter storm dumped snow in Tallahassee, on Wednesday for the first time in nearly three decades before slogging up the Atlantic coast and smacking Southern cities such as Savannah and Charleston, South Carolina, with a rare blast of snow and ice. At least 16 deaths were blamed on dangerously cold temperatures that for days have gripped wide swaths of the U.S. from Texas to New England. A winter storm warning extended from the Gulf Coast in Florida’s “Big Bend” region all the way up the Atlantic coast. Forecasters said hurricane-force winds blowing offshore on Thursday could generate 24-foot seas. Savannah saw measurable snowfall for the first time since February 2010. Up to 2 inches (5 centimeters) of snow and sleet were forecast Wednesday. Dump trucks spread sand on major streets ahead of the storm and police closed several bridges, overpasses and a major causeway because of ice. The icy weather forced airports to shut down in Savannah and Charleston, where 3 to 4 inches (8 to 10 centimeters) of snow was forecast about 20 miles (32 kilometers) inland from the coast. Interstate 95 was nearly an icy parking lot for 60 miles (97 kilometers) stretching north from the Georgia-South Carolina state line. State troopers couldn’t keep up with the number of reported wrecks as they climbed into the hundreds. Snow falls in Tallahassee, Florida. Authorities closed a stretch of Interstate 10 near the capital because of wintry precipitation. The National Weather Service said snow and freezing rain was expected to spread up the coast and warned that icy roads and low visibility could make driving treacherous. Accumulations of 3 to 5 inches (8 to 13 centimeters) were possible in eastern North Carolina. In Raleigh, North Carolina, hardware stores reported brisk sales of ice-melting compounds, pipe insulation and sleds as an inch (2.5 centimeters) of snow was forecast. At Seaboard Station, a collection of shops and restaurants near downtown, 71-year-old George Cathey was among the few people outside as the temperature hovered around 27 degrees (minus 3 Celsius). “I dressed in layers so I can cope with the cold,” said Cathey, who wore a black knit cap, a pullover over his shirt and a heavy jack on top of that. In central Florida, the state’s largest theme parks announced that water attractions such as Disney’s Typhoon Lagoon, Universal Orlando’s Volcano Bay and SeaWorld’s Aquatica were closed. Temperatures are running well below normal for this time of year, and the lows are expected to hover right around freezing. Warming shelters were opened across the South as freeze watches and warnings blanketed the region. In Prairieville, Louisiana, Valerie Anne Broussard struggled overnight to keep warm in a house that is being rebuilt after the 2016 floods that hit the small community southeast of Baton Rouge. Her home has exterior walls and floors but no insulation, no central heating and only a few working electrical outlets. Eggs that she left on the kitchen counter have frozen and broke open. Snow in Florida as Winter Snowstorm Blasts Coastal South. A winter storm warning extended from the Gulf Coast in Florida’s “Big Bend” region all the way up the Atlantic coast. 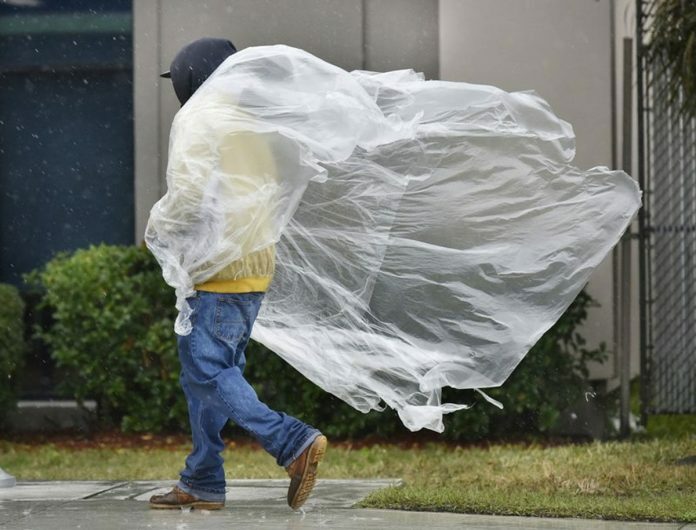 The storm dumped snow in Tallahassee for the first time in nearly three decades.